Something a little different this week as when I phoned Pete to book in, he said the match would be a rover on all ponds. I picked Janders up and then we met Harry who also wanted to fish today. As we pulled into the car park at the venue there were already a fair few vehicles there and it was nice to see Paul H again and he’d travelled up with Jamie P who I hadn’t seen for ages, it wasn’t so nice to see the Tart but it wasn’t a surprise as he’d text me to say he’d been in his trophy room making a space for my scalp! Today’s golden ball was drawn and it was number three so whoever had third choice was in with a chance of a bumper payday. Pete announced the draw and I went in fairly early for a change and grabbed a ball but didn’t have a look as the rest of the anglers drew. I could hear quite a few high numbers being mentioned, Harry had choice 11, Janders 15 and the Tart 16, I finally had a look at my ping pong ball and I’d only been and pulled out first choice! Had my luck finally changed? Was my bad run going to come to an end today? 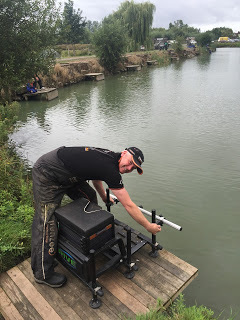 All week I’d been thinking I would pick peg 12 on Longs if I had the chance but a quick look at recent results saw me change my mind and I went for peg 17 much to Jeff Sparkes disgust! As it was Harry’s first time here, I suggested peg 12, Janders went on 15, Jeff went on 20 and the Tart chose peg 23. Janders and Harry agreed to a side bet and at first the Tart declined as he was fishing for carp but then said ‘Oh go on then’ so I wasn’t sure whether he was feeling confident or he really is as daft as he looks (my money is on the latter!). Unfortunately the Tart was in fairly close proximity! I set up a 10 x 11 MW F1 Slim with a size 16 Tubertini 808 to 0.10mm bottom and plumbed up two lines at ten metres, straight out in front and angled to my left, I also set up a 0.3 gram NG XT Mini Gimp for the five metre line with the same hook pattern and hooklength. On the side tray I had Bait-Tech 4mm Xpands for the hook and some soaked micros for feed. I also had some hard 6mms and half a tin of corn in case small fish became too much of a pain (thanks to Janders for the corn). On the whistle I cupped in half a pot of micros on all three lines before starting straight out with an expander on the hook. I missed a couple of bites before catching a small skimmer and then it was a bite a chuck but I just couldn’t hit them and I suspected small fish were to blame. I tried a grain of corn and had to wait longer for bites and the first fish I hooked felt like a slightly better skimmer only for it to come off on the way in! The next bite resulted in lots of blue hydro coming out of the pole tip as a rather lumpy carp lead me a merry dance before snapping me! After putting on another hooklength I went back to soft pellet and had a couple more 2-3oz skimbobs before I hooked a fish that felt like a decent skimmer but as I gently unshipped the pole, it came off and things weren’t going to plan. From what I could see Janders and Harry were struggling and Jeff was only getting the odd small fish so no need to panic just yet. Then just before the first hour was up I struck into a fish and straight away I knew it wasn’t a carp and I was delighted when I slipped the net under a lovely 1.5lb crucian which settled me down somewhat. The second hour was similar with some more skimbobs and another slightly smaller crucian (and a couple more nuisance carp of course) but I was slightly worried about the lack of better skimmers, especially as Jeff had netted a couple. I kept swapping between the two longer lines but I had most of my fish from straight out in front, I was dripping some micros on the shorter line every time I shipped out but wanted to leave it as long as possible before trying it. More small skimmers followed in the third hour but still no big skimmers so as we reached the halfway point it was time to try the shorter line for the first time. I had two little skimbobs quite quickly but then had problems with small fish knocking the soft pellet about, I tried a banded 6mm pellet but it was a waste of time and the only action came from a carp foulhooked in the wing. I went back out on the longer line and that was hard going now as well, I tried corn again but it was a non starter, I did manage another crucian on soft pellet. Janders had landed a nice skimmer but was hooking a fair few carp and Harry was getting the odd fish but was being led a merry dance with his light elastic. Jeff was still catching small fish and I felt he was pulling away from me, the Tart was catching carp but seemed to take more delight in winding me up about the size of fish Jeff was catching! With an hour and a half left I finally caught a proper skimmer from the ten metre line and then had two about 8oz apiece before the carp muscled in again so I came back in on the shorter line. I had a couple more little skimmers and then had my first better one from this line and then another with only a few minutes left and I still had time to ship back out, the float sailed away and on the strike my first thought was tench before it woke up and I was still playing it when Adie blew for the all out and I netted another poxy carp a few minutes later. I ended up with 36 skimmers, 3 crucians and a few little roach for about 7-8lb plus about 10-12 carp. I packed up and as we were loading the cars, the scales arrived at the Tarts peg and a quick look at the weighboard showed that Roy Hughes was leading the silvers with 21lb 11oz of silvers and there was a 12lb 14oz as well, I knew I had nowhere near that but with Pete paying the top three silvers I needed to beat Jeff to stand any chance of a pick up. In the meantime, the Tart weighed 70lb 6oz of carp and didn’t bother weighing his meagre silvers catch so at least I had a pound to come (more of that later!). 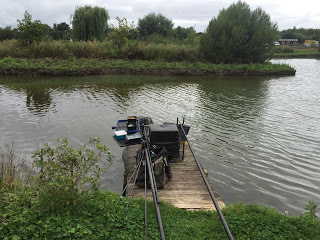 Jeff weighed 11lb 1oz of silvers and then it was my turn, as we reached my peg I could see my carp net had gone in which I wasn’t too worried about, I retrieved it but there were only four of five carp left so I didn’t bother weighing them. Then I pulled out my silvers net and I had a bit more than I thought but Adie called out 10lb 5oz and I was just short. I’d lost a couple of better fish today and spent too long trying corn or banded pellet when I should have just got my head down and fished soft pellet all match but hindsight is a wonderful thing. 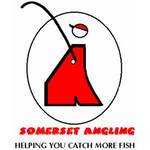 Janders had 15lb of carp and 3lb 12oz of silvers and with Harry not weighing, at least I’d won the side bets. Janders, bless him, did ask if I wanted him to give me his pound in a brown envelope – cheeky git! The scales then headed to Willow where Paul H had 81lb and then Mark Leahy had 67 carp for 163lb 15oz from peg 7, next stop was Lily (my favourite lake!) 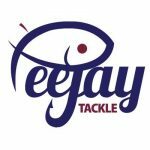 where Gabriel Skarba went into the lead with 185lb 11oz from peg 4 and last but not least was Sellicks where there was talk that the two most consistent paste anglers at the venue had both caught big weights. After the far side had been weighed where Dave in 23 had 101lb 9oz and Jack on peg 15 had 66lb 7oz, the scales reached Martin Addicott but he’d gone over the weight limit in both his nets which meant his total was knocked back to 160lb – ouch! 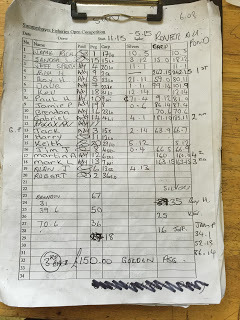 Bill ‘The Paste’ King Hopping was the last angler to weigh and after four nets and multiple weighs his total was read out at 242lb 15oz, a new match record, well done mate! The Tart then tried worming his way out of paying his dues and was asking all and sundry for their opinion because he thought he shouldn’t have to pay up as he was second on the lake! 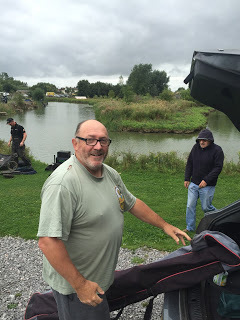 What he actually neglected to mention though was that all the other anglers on our lake fished for silvers and he actually finished second behind Roy who had also fished for silvers and still beat the Tart with his accidental carp! Fair play to the Tart he did eventually give me his nugget and the space he cleared in his trophy room is still empty! For a very brief moment I felt a tinge of guilt for taking his money when he’d fished for carp but it didn’t last long! So I wasn’t far off today but the bad run continues, will my luck change next Sunday?, make sure you come back to read my latest tale of woe and in the meantime, check out my latest ‘Hit Parades’.